Retaining your existing clients is just as important as bringing in new clients. Developing a loyalty system can be one way to encourage clients to return. 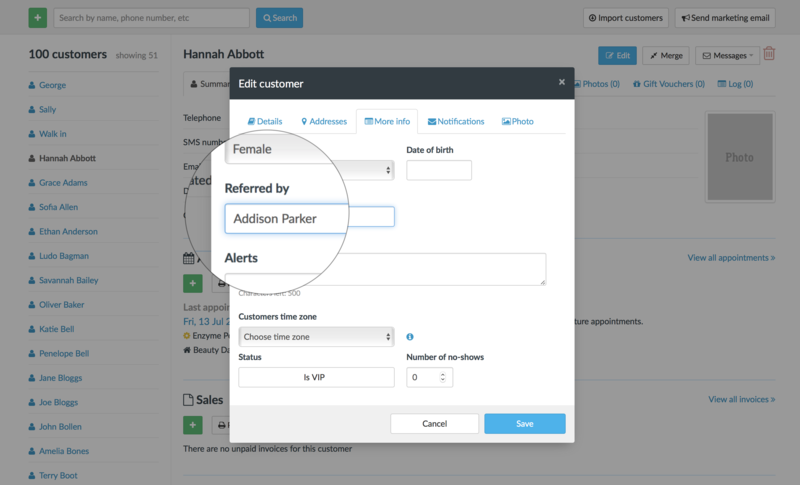 While there isn't a purpose-built loyalty feature in Timely, we do have a couple of suggestions for how you can use Timely to track and reward client loyalty. Sell services in bulk with Packages. Click Save to update their record. Check out our How to identify new and VIP clients guide for more information. Instead of giving your new clients discounts, you could reward long standing clients with their own unique discount. 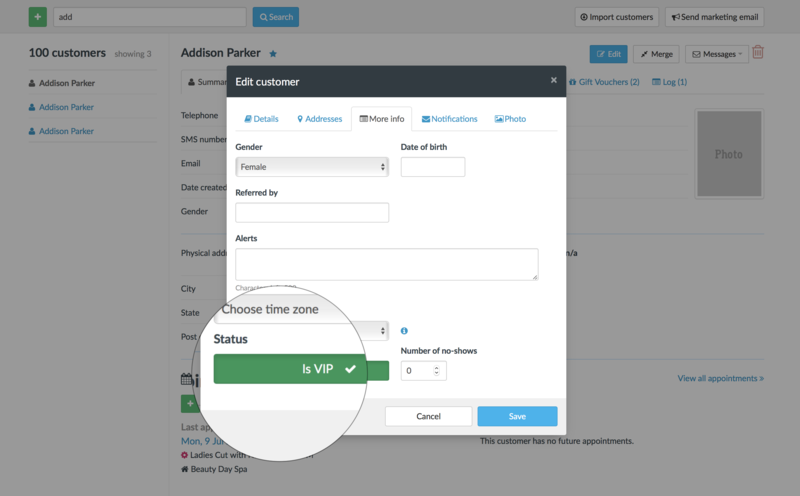 Create a new VIP discount. Add this to the client's invoices. Discounts work really well for rewarding cost-sensitive clients, but they do directly affect your profits. Have a think about which clients might benefit from this kind of approach before implementing a loyalty discount across the board. If you have loyal clients that aren't cost-sensitive, you could look at throwing in a free treatment, or additional service to their appointment at no extra charge. That way the client gets something a little extra and you're not affecting your bottom line. Next time, they might even buy that service themselves! Another popular approach is to reward clients based on their purchase history, where clients are awarded points based on the products and services they're buying. Some businesses will award points based on the client's total spend, or have a different points systems for retail versus appointment sales. 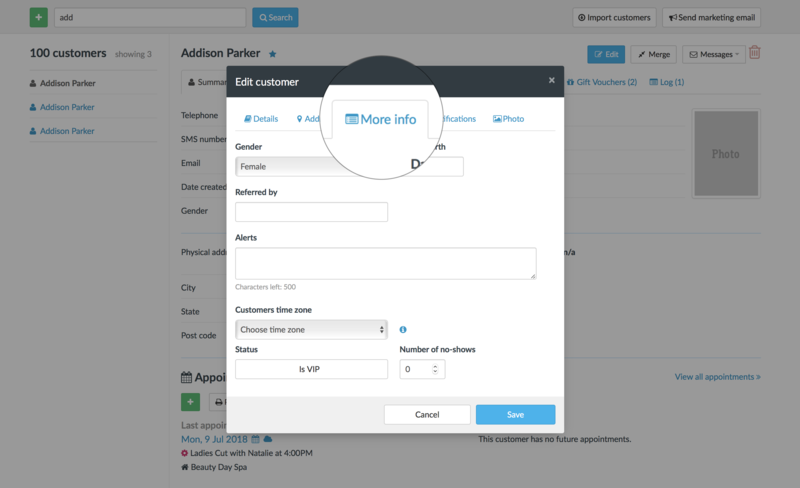 In Timely, you can use the Customer spend report to track client purchasing history over a given period. You can then award points to clients based on their Total invoice value or on their Invoiced service and/or Invoiced product value. You can run the report regularly e.g. monthly, to stay on top of client purchases. You can then track the rewards balance using a spreadsheet or external system, or keep a running total going in the client's notes or alerts. Apply a discount to the client's sale for the value of the points: How to use discounts. Issue the client a gift voucher, which they can redeem in store and online (see below). Create your own payment type for loyalty points! Then you can track how often these are redeemed: How to create your own payment types. Both Customer credit and Gift vouchers require a payment to be applied to activate the voucher/credit. If you want to gift free credit or vouchers, then we recommend creating and using a custom payment type. That way you can still activate the voucher and keep track of how many free vouchers you're issuing. Selling Gift vouchers is a fantastic way to keep clients coming back. You get some cash in the bank immediately and the client will need to return to the business to receive their treatment/service. Gift vouchers can be sold and redeemed both in store and online. Check out our Getting started with Timely Gift Vouchers [Video] guide for more information on using vouchers in your business. Loyal clients that keep coming back can also be great at bringing in new clients - word of mouth is still a really powerful marketing strategy! You can then choose how you want to reward them.This could be a voucher, or a free service or product, or whatever works best for your business. To keep track of referrals, you can edit the client's record and add an (x) after the client;s name in the Referred by field. This allows you to see at a glance when the client has been rewarded for that referral. Our Packages feature allows you to pre-sell bookings in bulk, which can be redeemed when the client visits. 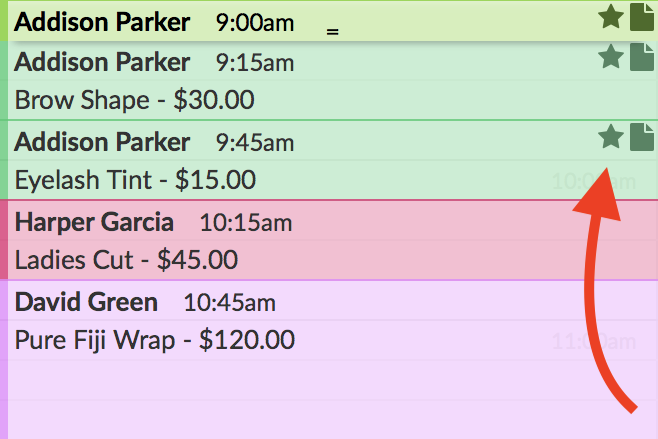 You could presell appointments in bulk, at a discounted price. Or, use the Packages feature to replace a loyalty card and stamp. This allows you to track how many visits the client has remaining, until they can redeem their free visit. You can issue packages for a specific service, or create packages that can be redeemed against any service or appointment. Create the loyalty package e.g. If this is a buy 9, get your 10th free offer, you would issue a package with 10 visits in total. You can make the package free by not setting a price. Issue the package to the client. When the client visits, you can redeem the package against their appointment. You would then raise a sale and apply a payment for each booking as normal. When the client has one visit remaining, you can let them know that their next visit will be free. Check out our Getting started with Packages guide for more information.